After three years, the NU Bullpups once again rule the Juniors Division. 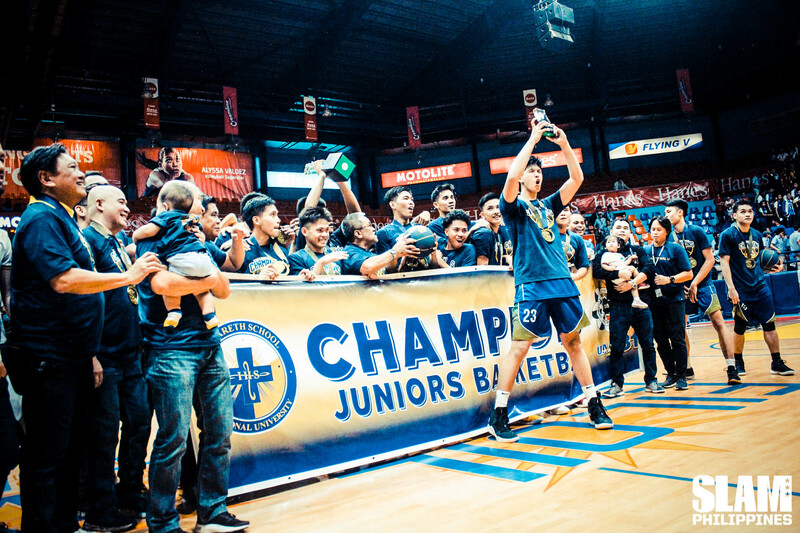 NU swept the defending champions, Ateneo Blue Eaglets to reclaim the crown. The Bullpups won Game 1, 70-58. They clinched the crown in Game 2, 64-53. Just like Game 1, it was a gritty effort by both teams in the early going of Game 2. Kai Sotto was dominant on both ends of the floor to start the game. 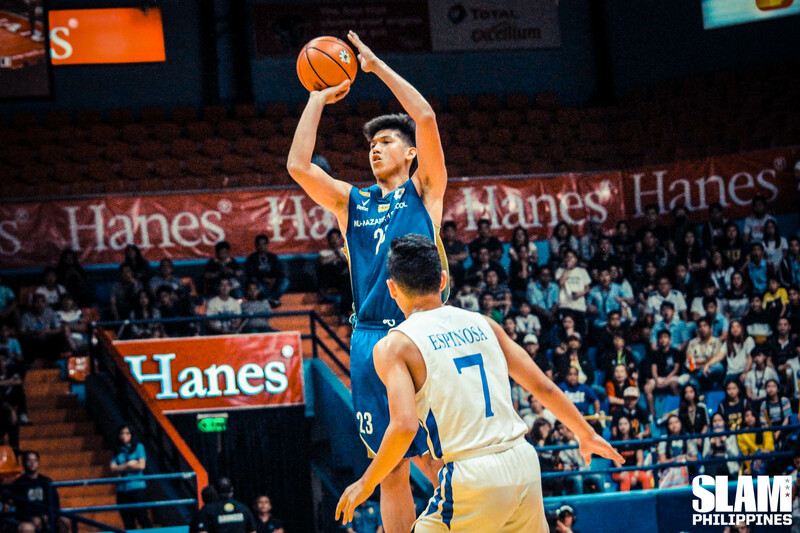 He kept Ateneo afloat, as the Blue Eaglet wings were cold from the field. The Bullpups countered Sotto’s attack with a balanced effort. They got key buckets from Carl Tamayo, Gerry Abadiano and Cyril Gonzales. The game was knotted at 31 heading into the half. Disaster struck for the Bullpups in the third period. Abadiano was called for his second unsportsmanlike foul of the game late in the period. That left NU with no other option but to play the final period without their spitfire point guard. Rather than fold, the Bullpups rose to the occasion. They were down by one point midway through the period when they made their run. NU exploded for a game-changing 9-0 run, powered by Terrence Fortea. Reynald Torres scored on a layup to give NU a three-point lead. Then Fortea came alive when he scored on two freebies to increase the lead. In the next play, Ateneo’s point guard Forthsky Padrigao went down with a knee injury during a loose ball battle. Fortea took advantage of the 4-on-5 situation and buried the three-point dagger to put NU up 59-51. The Bullpups cruised to the championship with that safe cushion. Fortea led the Bullpups with 15 points. Abadiano had eight points and nine rebounds before his ejection. Tamayo had 13 points and 10 rebounds in Game 2. He was named the Finals MVP with averages of 14.0 points, 11.0 rebounds and 1.5 blocks in the two-game sweep. Tamayo’s efforts in trying to contain Sotto didn’t go unnoticed.